What a simple statement that is full of such amazing truths! We’re kicking off our “Wednesdays in the Word” series with the book of Hosea. If you’ve ever wondered about God’s faithfulness, His unending love, or His continued presence in your life, then you’ll want to stick around. Each week, we’ll take apart another passage from this wonderful book and learn more about who God is and what He has called us to. My prayer is that through these short devotions, you’ll begin to see just how much the Lord loves you, and you’ll fall more in love with Him daily. It always strikes me as odd, how quick we are to forget God’s sovereignty and control over all things. Maybe it’s because we live in a world where we are taught to control our own destiny, make our own paths, and take charge of our own success. Maybe it’s too difficult to believe in a God that is independent and above all; a God that speaks things into existence and ultimately has the last word in every situation. Or perhaps it’s simply because we never take the time to stop and recognize that God is God. There is no problem too big or situation too confusing for Him; He knows everything that will happen from now until the end of times. Think about that…He is in control! Before we begin this morning, read the following Scripture from the book of Psalms, and take a few minutes to sit before the Lord. Hosea was a prophet in the Old Testament, during the final days of the Northern Kingdom. Although God had been faithful to them, the people of Israel continued to do evil in the eyes of the Lord. They turned away from God’s laws, His commands, and the covenant they had made with Him. God continued to warn the people to turn back to Him, but they continued pursuing idols, materialism, and worldly gains. This is where we see Hosea enter the scene. Wait, what? Did anyone else catch the part where God instructed Hosea, a man of God, to go and choose for himself a wife that would ultimately prove unfaithful? The even stranger part is that Hosea immediately did it! He didn’t refuse to obey or complain to God, He simply did what God had commanded him to do…regardless of the cost. What incredible faithfulness!! We’ll see through our study of the book of Hosea, that nothing God does is random. 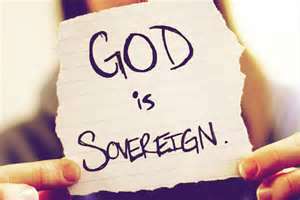 He is completely sovereign and in control of every situation we face and everything he asks us to do or go through. It is not our job to understand why, but it is our responsibility to obey. Think about that for a moment. It’s easy to obey the Lord when He asks us to do something fun or something we feel equipped to do. It’s much harder to say yes when the request is out of our comfort zone, uncomfortable, difficult, or maybe even painful. What has God asked you to do lately that seems too hard? Are there things you have been avoiding because you don’t feel qualified? How can this verse encourage you this morning in those things? Remember…Hosea was not necessarily prepared or qualified for the task God asked him to complete. If he was like most of us, he was probably thrown off guard and a little shocked. Regardless of his feelings however, Hosea chose to be obedient to the Lord. My prayer this morning is that his faithfulness will not only be an encouragement to you, but also a call to action. When faced with challenges and difficult situations, may we always choose obedience to the Lord. Though it may be hard in the moment, we can rest assured that the God who created the universe is holding us in His hands.